Thanks for providing an alternative. What’s the name of the DeYoung documentary, Hella? I saw that exhibit more than once and loved it. In fact, went to it with a PSC graduate and had great discussions of the various harmonies of the pieces. 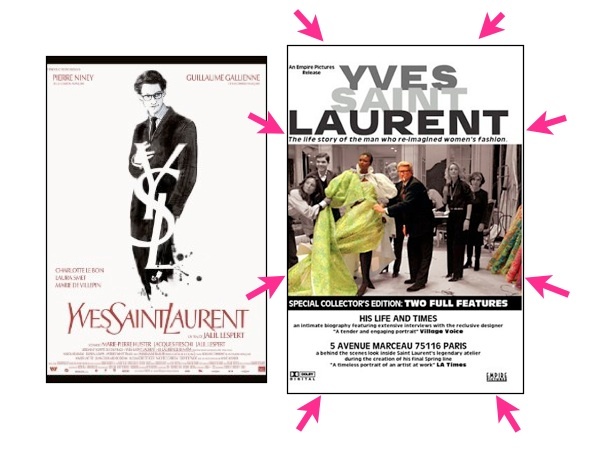 Yves Saint Laurent – His Life and Times/5 Avenue Marceau 75116 Paris is the name of the 2004 Documentary that I am referring to. It is not about the DeYoung museum exhibit from 2008. I happened to discover it at that time in their gift shop. Sorry for the confusion, sure wish they did make a documentary of that exhibit. I went to see it many times as well!